What do you keep in your pockets? A wallet? A smartphone? Car keys? 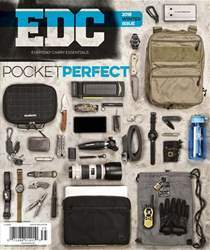 There are plenty of pocket-sized accessories that can complement any of those items, some are useful, some are fun, all can add to your EDC in various ways. In this edition of Deep Pockets, we focus on accessories that enhance your keys. De-cluttering and organizing your keys can lead to an easier time finding the right key when you need it and a cleaner EDC setup overall. Check out these key accessories that have caught our eye recently.